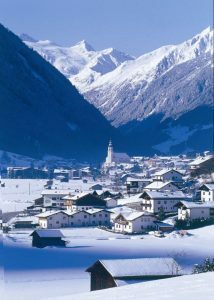 Neustift is a very pretty, traditional Tyrolean town, sitting in the broad and very scenic Stubaital or Stubai valley. It sits at an altitude of 1000m but what is particularly marvelous about Neustift is that it is only 15 miles or 30 minutes from Innsbruck airport, yet one still feel like one is in the heart of the mountains. 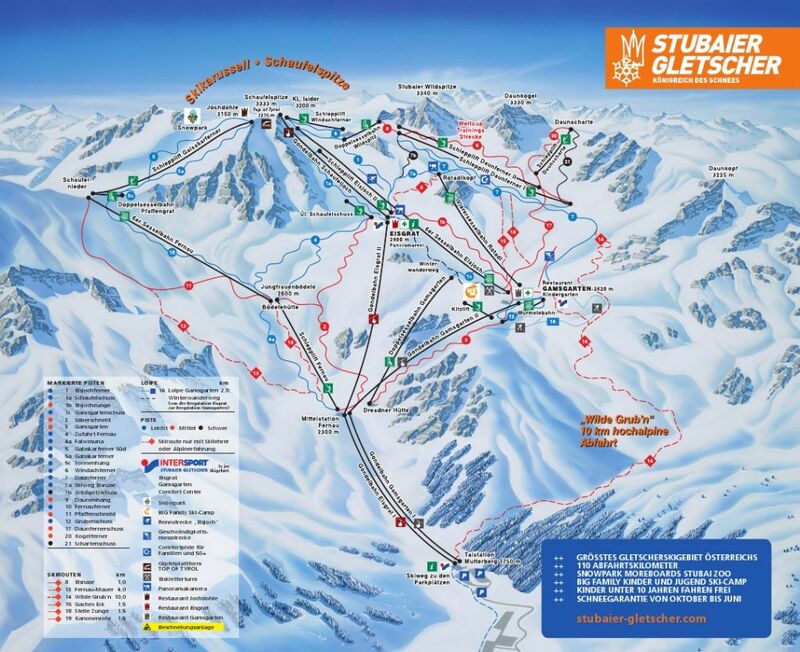 There are four ski areas along the Stubai valley, totaling 42 ski lifts in all. 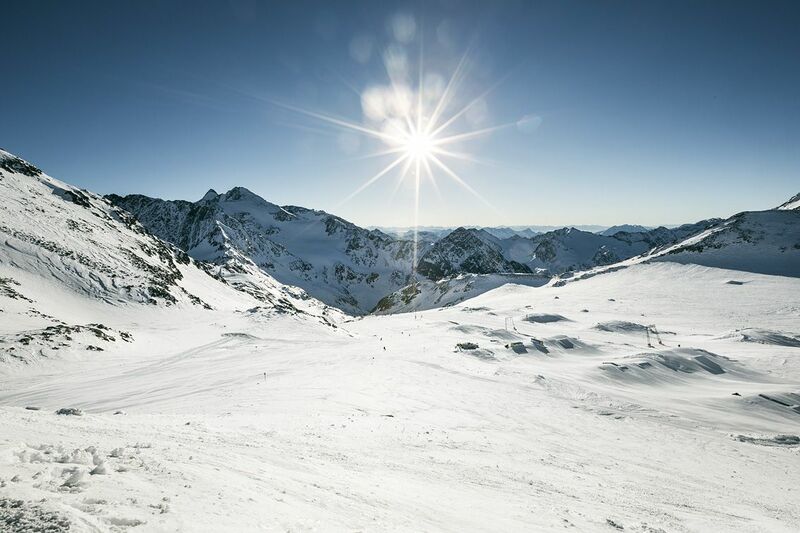 One of the biggest skiing areas is right at the end of the valley, the Stubai Glacier, which is only 15 minutes from Neustift and one can get there with the local bus service, or many hotels run a chauffeur service. The Stubai Glacier claims to be the biggest glacier ski resort in the whole of Austria and because of its height at 3210m at the Wildspitz mountain station, it has a very long season from early September to early July. 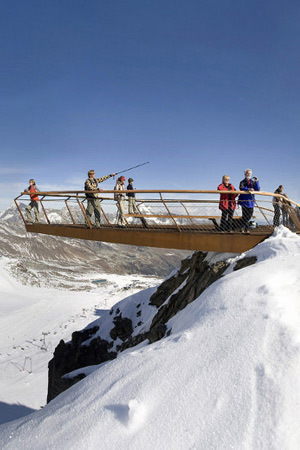 In the local area there are 80 glaciers and over 100 peaks above 3000m. Over the years there have been huge improvements to the Stubai glacier, in all areas from the freestyle snowpark ‘Moreboards Stubai Zoo’, the restuarants, lift system, Ice caves to the cross-country trails. 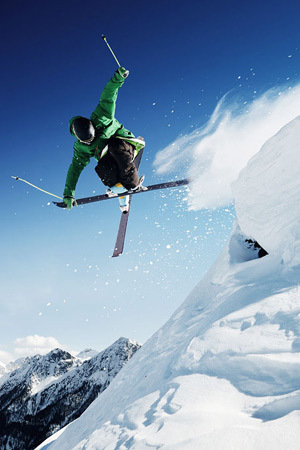 There is skiing for all types of skiers from beginners to off-piste aficionados. The ADAC ski guide awarded the resort the ‘most family-friendly ski resort in the alps’ from 2009-2013, it is also worth noting that children under 10 ski for free if accompanied by an adult. It may not be the largest Ski resort I have ever skied in, but I have to say I really loved skiing here. The views are absolutely stunning, one feels like one is on top of the world. The pistes are big and so much fun, I would come back again and again. BEGINNERS – There is the ‘Big Family Ski Camp’ area with 4 magic carpet ski lifts for the little ones. Piste #7 is also known as the ‘Comfort Run’ which is reserved for slow speeds has been created for families and the elderly. 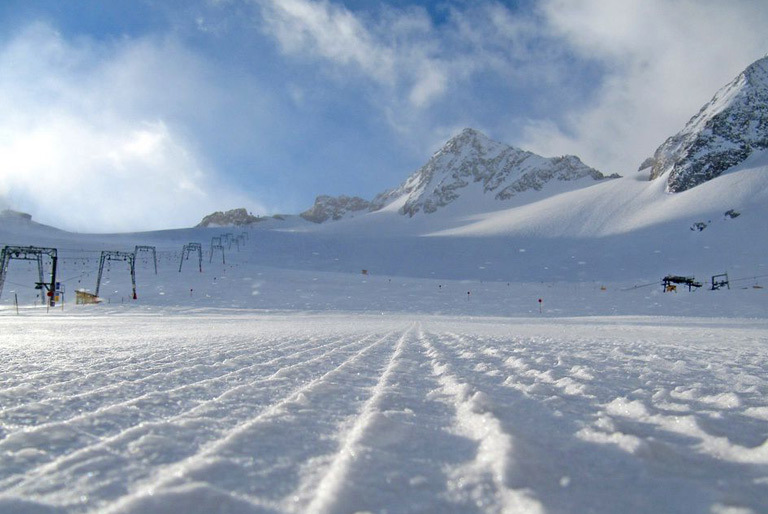 There a lot of gentle blue pistes that all connect up very well, which makes it possible to travel around the mountain once you get your ski legs. INTERMEDIATE – Like the blue pistes there are a good selection of red pistes that connect up, so it will keep all intermediates very happy. ADVANCED – There are not many black pistes, but personally this did not bother me too much as the pistes here are a lot of fun anyway. There are also some fun pistes like the Giant Slalom course free to the public alongside the Eisjochferner piste #1 and a free speed course on the lower section of the Daunferner piste #7. 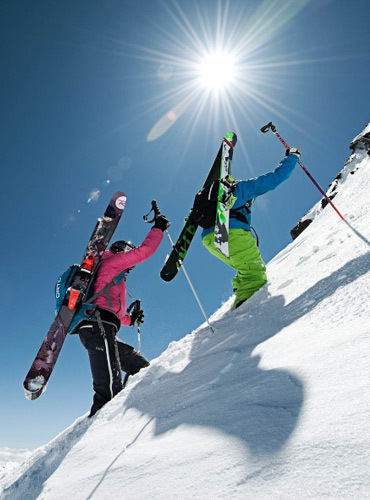 OFF PISTE – There are 9 marked ski routes in the area and 15 ‘Powder Department runs’. The 9 Ski routes are shown on the piste map with red dotted lines which are numbered. The ‘Powder Department’ is all about safety and is one truly brilliant idea. 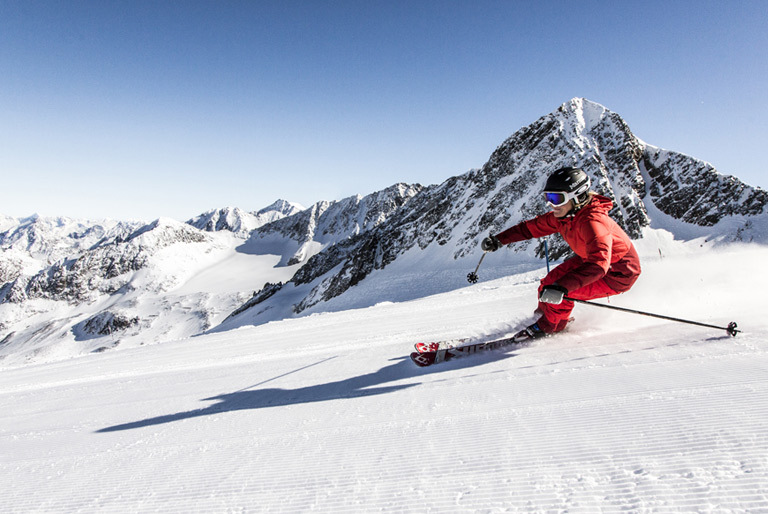 One can go to the Stubai website to read about every bit of information that you need before you venture down one of these Freeride runs (some details you will need Google to translate- but it is worth doing). There are GPS coordinates, sketches, maps to download, pictures and you can even experience the runs via Google earth. There are also freeride checkpoints with more information at Eisgrat and Gamsgarten, avalanche training is available too. We recommend the 5* Hotel Jagdhof. To know more about this property read our online review.